Open Banking innovation is hitting the small business sector. Providers are forming partnerships with accountancy software providers and traditional banks to widen the options and offer much more than loans, Dippy Singh reports. Tell any start-up that they don’t need to be innovative to succeed, and they will laugh you out of the room. Entrepreneurs and businesses have to be original, to stay ahead. Yet, tell that same business they don’t need innovation to finance and grow the business. For too long, they have agreed. Finally, this is changing. Fintechs and challenger banks are leading the way in providing small and medium-sized enterprises (SMEs) with alternative lending and banking options, and with the help of Open Banking they have big plans to continue supporting small businesses in ways the traditional banks have failed. Alternative lender iwoca is among them. It says it wants to make applying for a small business loan as ‘easy as booking a flight online’, with Open Banking playing a major part in this strategy. 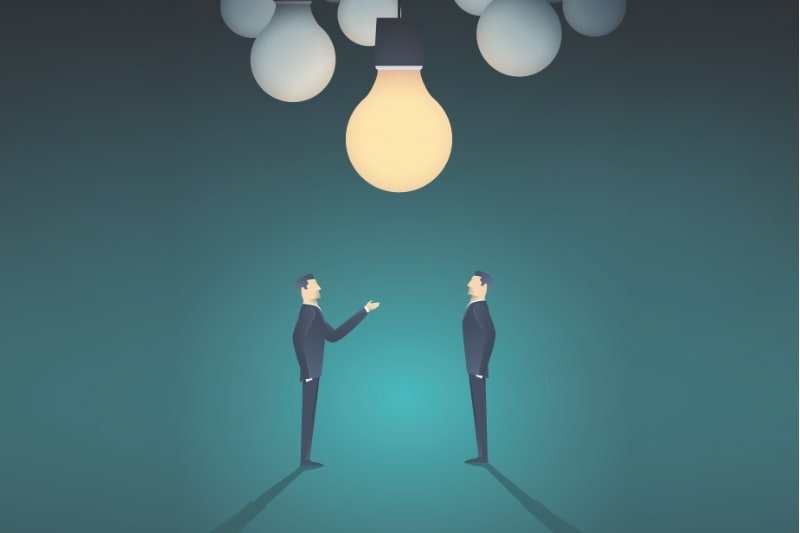 “Historically, the majority of SMEs have approached the UK’s largest four banks for funding and, in the case of first-time borrowers, the rejection rate has remained at around 50 per cent,” explains iwoca’s head of strategic partnerships Colin Goldstein. His firm aims to break down the barriers that stop small businesses accessing finance. Businesses that bank with Barclays, HSBC, Lloyds, NatWest or Santander can use Open Banking to provide up to five years’ transaction history in seconds when applying for a revolving credit facility or long-term loan from iwoca. The company claims that 90 per cent of all UK small business accounts can be linked to its credit decision engine. It is now undergoing a programme to finalise its connections with banks not currently within its scope. But iwoca isn’t alone in hoping to sweep up business from the incumbents by offering quicker service and different approaches to underwriting. Funding platform Swoop recently published details of its Open Banking API, which goes beyond financing. The company hopes to assist small businesses with cost savings by looking at their spending habits and monitoring examples of unnecessary outlays. “Through our API we analyse SMEs’ spending habits across subscriptions, FX, insurance, mobile, broadband and utilities,” says Ciarán Burke, Swoop’s co-founder and chief operating officer. Through accessing accountancy package information, underwriters can also perform forecasting and trend analysis on predicted growth rates and assess how they want to rate the deal or the terms they are willing to offer that SME, Burke adds. But how far can Open Banking go to improve the available financial assistance for small businesses and what other innovations are on the horizon? The Federation of Small Businesses (FSB) says Open Banking has made a slow start but believes its potential is huge. “At the heart of Open Banking’s future potential is aggregation,” advises Martin McTague, FSB policy and advocacy chairman. Potentially, businesses can improve profitability and productivity as a result of Open Banking innovation. Sharing the bigger picture with experts can open up opportunities for improved efficiency, improve the ability to manage late payment and enhance access to new finance, McTague claims. Changes to technological approaches will also yield benefits, says Goldstein. As more businesses adopt cloud accounting, he believes this area presents a big opportunity to help small businesses access finance and manage cash flow. This will increasingly be done in partnership with bookkeepers and accountants. “iwoca already has a partnership with Xero, the cloud accounting software, which enables Xero customers to link their account and streamline the application process, providing the information needed for a credit decision,” he says. Fintech Swoop says incumbent banks will increasingly have to align themselves with smaller specialists or adjust their business models to better serve SMEs. “As incumbents, they find themselves positioned at every aspect of the funding chain and are often the starting point for any SME looking for funding. But a lot of the early stage lending market isn’t suited to their economic model,” Burke says. He forecasts banks will start to build out relationships with panels of lenders that suit early stage businesses at various levels of funding, up to the point where the bank wants to enter the market. Commercial lender Wesleyan Bank foresees businesses becoming savvier in matching funding to their specific requirements. “In the past, the SME’s overdraft would be the ‘go to’ solution. Overdrafts have their place for day-to-day working capital, but factoring and invoice discounting facilities are common amongst SMEs, and more businesses appear to be seeking genuine asset finance solutions,” says Paul Slapa, head of direct sales at Wesleyan. With the demand for external finance and traditional bank lending continuing to decline, there is certainly an appetite among SMEs for alternative funding. According to 2019 figures from the state-owned British Business Bank, just 36 per cent of smaller businesses are using external finance, compared to 44 per cent in 2012. Conversely, awareness of alternatives to traditional finance has continued to grow, with 52 per cent of SMEs aware of peer-to-peer lending, 70 per cent aware of crowdfunding platforms and 69 per cent aware of venture capital. In addition, equity, asset and market-based finance have grown, while invoice finance rose by a massive 105 per cent in 2018 to £1.1bn. There are a large number of alternative lenders in the UK willing to lend against other assets, including stocks, intellectual property, future trade, statements of work, guarantees, and e-commerce performance. Small e-commerce businesses can often get loans on the value of their past Amazon and eBay transactions without having to do any traditional credit checks, while there is a wide range of providers who will look at a business’ debtors and lend against the value of that. “Even things like your R&D tax return can be used to generate a facility, so if you’re a young SME in the UK creating value through revenue, assets or IP, there have never been more options for you,” says Burke.